Shredding UK offers an alternative service that is the perfect solution for those one-off collections; we will tailor this service to suit your individual shredding requirements. If you are having an annual clear out of just need a service to provide clearance shredding, Shredding UK is the perfect partner for your business. 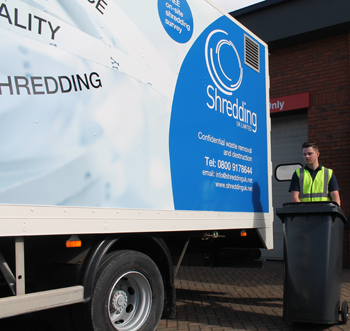 Our one-off Shredding Service will still provide the option of on or off site shredding, with all documentation handled and destroyed in the same secure way with no contract required.